​One of the jewels of Italy, Venice is known throughout the world for its stunning architecture and miles of canals. This jewel of Italy consists of 117 separate islands linked by a series of historic bridges, canals and pavements. ​Venice is visited each year by many thousands of tourists. Central Venice consists of six main regions, Cannaregio, Castello, Dorsoduro, Santa Croce, San Polo and San Marco, each full of local charm and appeal. One of the most famous landmarks in the city, San Marco Square is the only public square in Venice and offers a rich heritage, with the magnificent buildings of Doge's Palace and the Basilica San Marco nearby. Castello is the most historical area of the city and is known for its Arsenale ship-building yard. On the northern side of Venice, Cannaregio contains the Santa Lucia Railway Station, with nearby Santa Croce linking the city to Italy's mainland. ​The smallest area of the city is the San Polo district, which offers many local eateries and inns. On Venice's southern side you will find the district of Dorsoduro, which contains the notable 17th-century Dogana da Mar. ​Home to some of the world most stunning buildings, impressive museums and art galleries, and a large selection of top restaurants, Venice has much to offer and rarely disappoints. Central Venice is easy to traverse on food, being generally well pedestrianized. Popular methods of transport include inexpensive water buses and more pricey motorboat taxis, both of which offer a convenient and extremely scenic way to travel around the canals. Connected by rail to many large cities in both Italy and Europe, Venice stands on the A4 Autostrada. The city is home to a large and busy airport, which is located around 8 miles / 13 km from the centre and caters for many international airlines. Venice's Marco Polo International Airport is easy to reach by a range of transportation, such as buses, cars, taxis, boats and rail. Reach your hotel from the MarcoPolo Airport safe and stress free with the Marco Polo Airport - Venice Shuttle Service and if you have arrived with a cruise ship at the Maritima port, enjoy the spectacular scenes Venice has to offer from the moment you step off your cruise ship with the Venice Cruise Ship Port To Hotel Shuttle Service. asy, stress-free solution for reaching Venice from the Marco Polo Airport. No trip to Venice would be complete without a trip in a traditional gondola. The city is geared up towards the tourist trade, with many must-see sights and attractions. Some of the most popular things to see in Venice include the numerous palaces and historic structures, such as the Rialto Bridge (Ponte di Rialto), the Palazzo Mocenigo, the Palazzo Ducale (Doge's Palace), the Scuola Grande di San Rocco and a host of churches. No trip to Venice would be complete without a trip on a traditional gondola. Many different gondola trips are available, from individual private trips to trips where you are accompanied by musicians or even half day tours. The city is also home to countless trendy shopping areas, which are lined with local boutiques and specialist shops, together with a number of colourful markets. Some of the most outstanding art galleries and museums in the city include the Marciano Museum, the Archaeological Museum (Museo Archeologico), the Accademia Gallery and the Contini Gallery. The watery city of Venice is also home to a surprising number of green spaces and parklands, such as the Royal Gardens (Giardinetti Reali) and the Giardino Giusti. Nearby Venice you will find a many interesting and appealing towns worth a visit, such as Burano, which is just a short trip by ferry and is known for its lace making. Throughout the year, many major events are held in the Venice area and consist of religious festivals, cultural events and sports. ​Events not to be missed include seasonal carnivals, the Festa di San Marco at the end of April, the Festa Medioevale del Vino Soave Bianco Soave each May, the Vogalonga rowing regatta in May, the Venice International Film Festival at the end of August, and also the New Year's Eve masses in the city's Catholic churches. Full of elegant and trendy boutiques, independent shops and vibrant markets, the city could be called a 'shopper's paradise' and offers plenty of genuine bargains. The best shopping areas in Venice are around the San Marco region, the Mercerie and also close to the Calle dei Fabbri. Also, regular fish markets are held alongside the Grand Canal and are popular with both locals and visitors to the city. With a vast selection of restaurants, cafes and eateries, Venice offers many traditional Italian dishes, which include freshly made pizzas, pastas, paninis, cheeses and salads. Many other types of cuisine are also available aimed at tourists visiting the city, such as fast-food outlets and bars. Al fresco dining is particularly popular in the city and around the San Marco area, known locally as the 'Piazza San Marco'. This is one of the one-star hotels in Venice Italy that is very nice and easily reached on foot from the two main arrival places of the city. This hotel is also just five minutes away from the railway station “Venezi S. Lucia”, a minute from the bus station and car parking “Piazzale Roma”. This hotel is located in the Venice mainland just seven kilometers from the historical centre of Venice. This hotel has fourteen air-conditioned rooms in a small charming building and is recommended for both tourist and business man looking for a friendly and family atmosphere. This three-star hotel is one of the hotels in Venice Italy that is nestled in the historic centre which is about one hundred meters from the railway station of Santa Lucia and five minutes walking distance from the car terminal of Piazzale Roma. This four-star hotel has a superb location, less than 1 min walk from train station. Excellent choice. ​​As the local saying goes: "Coimbra sings; Braga prays; Lisbon displays; and Porto works." The city's attraction is found very much in the lifestyle of the place, with its flourishing business centre encircled by smart residential areas and stylish villas, side-by-side with a core of cramped roads and historical back streets that has been proclaimed a UNESCO World Heritage Site. Porto is situated along the Douro River in Northern Portugal and is the second largest city in Portugal after Lisbon. Almost 2 million people live in the Porto metro area. One of the top destinations in all of western Europe, Porto was elected The Best European Destination by the Best European Destinations Agency in 2017. Travelers that explore the areas around Porto are in for great experiences. Ancient archaeological sites abound, such as the Celtic village of Citania de Briteiros. ​There are many castles can be explored including Guimarães Castle. Porto is on the Portuguese Way path of the Camino de Santiago. Northern Portugal is famous for Port wine and the Douro River Valley is home to many famous wineries. It certainly is a really nice place to explore by walking around and to meet people. Make sure you go out at night. You will also find Porto’s atmosphere to be, by far, more authentic than Lisbon. ​This area is rich in history and considered the birthplace of country itself. Porto is one of the oldest European centres, the Celts settled in and around Porto in 300 BC. This area is rich in history and considered the birthplace of country itself. Porto is one of the oldest European centers. The Celts settled in and around Porto in 300 BC. Porto was a Roman Empire outpost as late as the 5th century AD. After that, Germanic tribes and then the Moors occupied Porto until the reconquest in 868. ​Porto was later invaded by Vikings and Arabs until eventually became an important city of Portugal. It’s no wonder that the historical core of Porto is a World Heritage Site. Residents of Porto are very proud of their city and you may hear the expression that "o Porto é uma nação" which means Porto is a nation. People from Porto are often called the Tripeiros, or tripe eaters. The city's inhabitants went without meat during the Portuguese conquest of Ceuta in North Africa in 1415 to help provision the fleet, hence the name Tripeiros. Instead of meat, they subsisted on tripe soup. Visitors to Porto may recognize that sometimes it feels like it is all business - as the saying goes, "Porto works, Braga prays, Coimbra studies, and Lisbon gets the money." You will find Porto’s atmosphere to be, by far, more authentic than Lisbon. ​​Porto was later invaded by Vikings and Arabs until eventually became an important city of Portugal. Porto's climate is semi-Mediterranean climate. The Atlantic Ocean makes Porto cooler than other cities with this climate. Temperatures rise as high as 40°C in August during occasional heat waves. Winters are mild, rainy and humid, with occasional cold nights when temperatures can drop below 0°C. Porto Metro light rail/subway system is modern and is the best way to get around Porto even though some parts of the city don’t have good coverage yet. One may also get a Porto Card and save money on transport and much more. Valid for 1-4 days one may use this card for the public transport system to get around, and get over 170 discounts and benefits, including free access to 11 museums and a free visit to a port wine cellar. Cross the Ponte de Dom Luis (The Dom Luis I Bridge) bridge on the top and lower bridges. “Have some fun at the rooftop terrace bar Espaco Porto Cruz on the side of Sandeman Port Cellar"
​Start your walking tour at Sao Bento station, head down to Ribeira, buy a combined ticket for a private boat trip on Douro river plus tour one of the Port Wine cellars (ask for the time with English guide). ​Cross the bridge on the lower side to Gaia, visit the Cellars, do the boat trip, have some fun at the rooftop terrace bar Espaco Porto Cruz on the side of Sandeman Port Cellar. Then walk up or take the cable car to Serra do Pilar and enjoy the sunset over there. What about a private boat trip on Douro river? ​The wine is generally very cheap in Portugal, so you can always buy some and drink on the street or in a nice place elsewhere. Order an expresso Italy and Portugal and Italy are the best places to have expresso. You will not be disappointed! Ask for the menu of the day when having lunch (in Portuguese, "Menu do Dia"). A lot of restaurants use this method for lunch. The Menu do Dia usually has soup, a main course, coffee and drink and is cheaper than ordering off the regular menu. Always ask for the house wine at meals, it normally is as good as any other wine and it is the cheapest one. The wine is generally very cheap in Portugal, so you can always buy some and drink on the street or in a nice place elsewhere. Complement fish or shellfish dishes with some cold Vinho Verde, a unique Portuguese wine from the north. Looking for accommodation in Porto? Looking to book a room inPorto? Check out these great options! Casa De Cristal - Stay in the heart of Porto in a superb rated apartment with excellent wifi. Lower priced. ​So how do you find an all-inclusive that is right for you? And at the same time avoid spending your honeymoon or vacation surrounded by other people's children if you don't want to? Or maybe that would be exactly what you were looking for. There are all-inclusive for couples, all-inclusive build just for families, all-inclusive devoted to nudists and even an all-inclusive for plus-size people. So how do you find an all-inclusive that is right for you? And at the same time avoid spending your honeymoon or vacation surrounded by other people's children if you don't want to? Or maybe that would be exactly what you were looking for. Brands such as Sandals and Super Clubs first and foremost cater to adults altough they do have family packages available. Brands such as Sandals first and foremost cater to adults altough they do have family packages available. Other brands of all-inclusive: Breezes, Franklyn D and Beaches resorts welcome families with children. And Club Med has developed into more of a family oriented all-inclusive company, but it still has some outposts that cater especially to adult singles or couples. The eastest way to recognize if an all-inclusive is restricted to adults is by determining if it limits guests to age 16 and older. You can typically find this information by glance over the company Web site or call the 800 reservations number. The good thing about booking a package deal is that you get much more at a resort than just a room and a bed to sleep in. A lot of destinations tempt travellers with a list of activities and facilities so broad that a couple couldn't possibly take advantage of them in a month. That's why it's essential to look at these deals closely. Do not get overwhelmed; just relax and keep in mind that quality counts more than quantity. Just because some services are included in a All-Inclusive resort package does not mean that it is not factored into the all-in-one price. For instance, a couple who drinks very little may do better without a meal plan that includes all they can drink. Or what about a couple who loves to Jet Ski, they should choose a place where Jet Ski is included at no extra cost, because it is an expensive sport. Experience the Ultimate Family Vacation in Paradise! Learn More about Beaches Turks and Caicos! 2 Rounds of FREE Golf At Sandals Resorts. 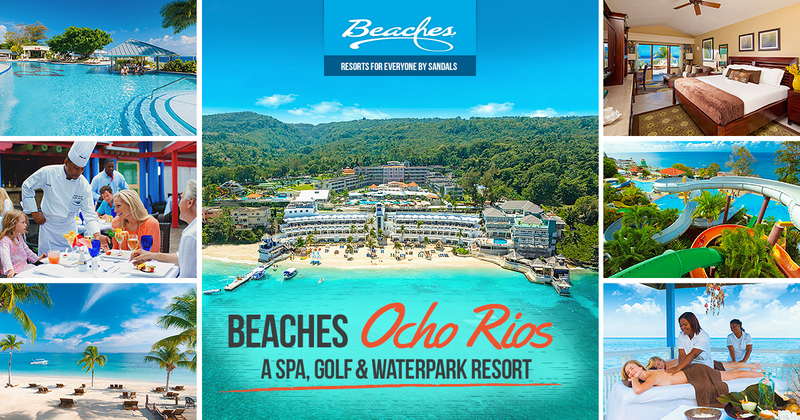 65% Off PLUS $1000 instant booking bonus at Sandals Resorts. A paradise created for two people in love on the Caribbean's best beaches. All-Inclusive, All The Time. Sandals, the only all inclusive resort to include it all. Book now and get up to 65% off, up to $1000 instant booking bonus and much MORE. When you want to purchase new luggage, there are many things you have to consider. Most of us definitely are concerned about cost. 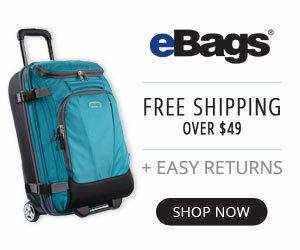 Have no fear as there is luggage out there even for those on a tight budget. If you are a frequent traveler, you might want to consider a more durable type of luggage such as that which is made with a hard sided material. If you are just a recreational traveler you will still want durability but not necessarily to the degree the more frequent traveler would need. The hard luggage is more apt to survive the rough handling it receives after it is checked. What are your needs when you travel? You will want a carry on bag that will hold valuables such as jewelry, cash, traveler’s checks, and any medicine? Do you need to have a change of clothes at the airport? If you need to carry medication - you should check with your airline on the best way to carry your medications, and in the case of diabetics, your glucose testing kit with needles, and emergency glucose sources. Savor the absolute best food at local hidden gems and take in all the wonderful people and remarkable stories that lie behind these renowned dishes. ​Booking with EATINGEUROPE will guarantee you'll explore the city like a real insider. One will have the chance to enjoy several of the finest Italian foods within this world-famous city. ​Try fresh prepared pizzas, flavor homemade pastas and Supplí (risotto balls), sample the finest cheeses and wines, and drink the very best coffee in town complemented with a great artisanal gelato. With a food lover guide to show you the way, this tour takes you into the soul of Rome, past charming markets, within lovely restaurants and little known places off the tourist trail. you'll visit hidden gems in Rome's culinary center, meet local owners, and find out about secret Roman recipes. On this 4-hour walking food excursion through Oltrarno-- the Florentine equivalent of Paris' left bank-- you'll have the ability to taste what makes this city's food so unique and distinct within Italy. Through numerous food and wine tastings at 8 authentic stops, you'll learn how to make Italian cantucci (cookies), you'll try the local salami, and you'll take in the area's Bohemian ambiance-- filled with students, artists and vibrant culture. ​You'll meet the family members that have been dishing out the foodie treasures locals have enjoyed for generations. As the stars starts to twinkle you will wander through the Ould West area - a community characterised by stylish architecture, tranquil channels and unconventional bars and shops. On this twilight food tour you'll savour, munch, nibble, chat and have a good laugh and at the end of the night you will definitely know the true meaning of pleasurable moments spent among friends even if you do this tour solo. The 3.5-hour Jordaan Food Tour is a great deal more thank it seems: it's a guided food lover’s walk through the exceptional cultural and historical attractions of the Jordaan community; it's a significant meal in the form of loads mouth watering Dutch samplings from a lot of authentic food lover stops along the road-- all in one! The these also is the 4 hour Amsterdam Food & Canals Tour in the form of a guided stroll through the unmatched cultural and historical attractions of Amsterdam. It also includes an hour-long, exclusive cruise through Amsterdam's world heritage channels. The 4 hour East End Food Tour offers 7 traditional samplings (a significant meal!) at a variety of spots like shops, markets, bakery's, pubs and restaurants. You will go to much-loved local haunts, meet the business owners and check out historic sites that couple of tourists have the change to experience. ​On the Soho Food and cocktail Tour one will go far from the tourist snares to the local cocktail lounges and mouth watering restaurants that are genuinely defining the city's food reputation. Dockers and pirates may not with us any more today, however the spots they drank and eat in, and their tales are still very active. In the London Food & Beer Tour, all the tales are dished out with London's finest craft brews, ciders, and its finest pub grub, featuring much more than a few dishes which are sure to impress! ​Our the 4-hour walking food tour of this remarkable city you will try a lot of traditional food samplings from incredible, locally-loved food stops while strolling trough tucked away cathedrals, traditional art and regional jewels hidden in backstreets and alleyways. You'll discover landmarks certainly never seen in the travel books and leave Prague behind feeling like a true insider. The Eating Prague's 4-hour beer excursion tour begins in the beautiful vegetation of Letna Park's beer garden, and proceed right through Prague's spectacular architecture, filled with excellent stops for a beer, paired with plenty of local and international food samplings. Adventure a secret - and tasty - side of Prague lots of people miss out on with the Prague evening Food Tour starting at the foothills of the Prague Castle. ​Though near to the tourist hotspots your engaging local guide will take you down stunning, little back roads to uncover several of the city's most concealed jewels. You'll be taken right into secret wine cellars, backstreet diners and small, family-run cafés, to indulge in Prague's best food and drink. Join a tiny group of remarkable tourists like for a journey you will share with each other and bring back home with you. From innovative Croque Monsieurs to delicatessen and prize-winning patisseries, the welcoming tour guide will introduce you to a few of the very most enthusiastic tastemakers within this cultural hotspot. ​Feel what daily life is truly like within this legendary city by uncovering the local much loved spots, meeting the people which bring them to life and sampling the dishes everyone in Paris is speaking about now. ​Strolling through trendy and historical neighborhoods, you'll find out about the unique background and customs of these diversified areas. You'll get to have a flavour of what Parisian foodies enjoy to eat, and meet people behind these regional favourites. For more information or to make a booking,book with EatingEurope HERE. - A total amount of 1,326 million worldwide tourist arrivals were recorded in places around the globe, some 86 million more than recorded in 2016. - This expansion was due to the worldwide economical growth since the 2008 economic colapse. - By location, Africa and also Europe grew above average. By having 52.4 million holiday-makers a year (2016 ), Italy is the 5th most explored country in worldwide tourist arrivals. ​People primarily visit Italy for its precious art, history, food, culture, fashion, and its lovely beaches, mountains, and valuable historic monuments. Wine tasting in Tuscany - A Relaxing day trip to the Tuscan wine region one will know why this region is famous for both it’s scenery and it’s wine. Culinary Trips and Nightlife - Taste your way through Florence, learn to cook traditional ravioli pasta, or skip the line and dine in the Hard Rock Cafe in the dazzling city of Venice. ​Discover the best food tours in Italy here. Also Read “Italy Food Tours A Moving Feast Off The Beaten Track"
Also Read "10 Unforgettable Reasons To Travel Italy" for a list of the 10 best things to do and photos. Aldrovandi Villa Borghese - Overlooking Villa Borghese, the classic 5 Star Aldrovandi Villa Borghese features a swimming pool, spa and a large private garden. This hotel is a landmark in Rome’s inner city. Overlooking Villa Borghese, the classic 5 Star Aldrovandi Villa Borghese features a swimming pool, spa and a large private garden. This hotel is a landmark in Rome’s inner city. Tourism in China has indeed significantly increased over the last few years because the beginning of change and opening. The introduction of a new rich middle-income group and a reducing of constraints on movement by the Chinese powers are both feeding this traveling explosion. China has actually turned into one of the world's most-watched and best incoming and outgoing tourist markets. The world is on the peak of a continual Chinese tourism explosion. Ringed by 3.5 km of scarlet castle walls at the very core of Běijīng, the Unesco-listed Forbidden City is China's biggest and best-preserved collection of historical structures, and the biggest palace complex worldwide. Among China's best examples of Buddhist cave art, these 5th-century caves are just spectacular. With 51,000 historical sculptures and deities, they set almost every thing else in the Shānxī shade. This cable-hauled funicular rail line has been going up the 396m ascent to the top point on Hong Kong Island since 1888. A trip on this clinking tram is a traditional Hong Kong experience, with whirling views over the city as you soar up the high mountainside. Also Read: China - the land of timeless appeal. Tourism in Spain is a huge contributor to the nationwide economic life, providing about 11% of Spain's GDP. Since the 1960s and 1970s, the country has been a well-liked location for summertime vacations. Particularly with multitudes of travelers from the UK, France, Germany, Italy and the Benelux, to name a few. Accordingly, Spain's international tourist sector has turned into the second-biggest worldwide. ​Spend less time lining up and more time sightseeing with skip-the-line entry to both the cathedral and park on a 4-hour guided tour. ​Discover the best of Barcelona on this convenient City Sightseeing hop-on hop-off tour. Choose from a 1- or 2-day pass, and enjoy your own sightseeing as you travel the three routes and learn about the landmarks via the onboard commentary. ​A packaged trip combining two excursions, including visits to the Barcelona Cathedral, the Gothic Quarter, Olympic Village (Vila Olimpica), Montjuic Castle, Montserrat and much more. Ride by cog-wheel train to the Royal Basilica of Monserrat to and sample some local liquor. Hop aboard the Montjuic cable car for a bird's eye view of the city, including the magnificent La Sagrada Familia and harbor. Save 10% if you book both these trips. Also Read “ Spain Tourism: Top Tourist Destinations In Spain"
Looking to book a room in Barcelona? Check out these great options! If you looking for a Hotel with family rooms, Hotel SB Glow **** Sup will be a good choice. they also have a buffet breakfast available every morning. Travel and leisure in the USA mushroomed in the kind of metropolitan tourism in the course of the late 19th and early 20th centuries. By the 1850s, tourism in the USA was very well developed both as a cultural venture and as an industry. New York, Chicago, Boston, Philadelphia, Washington, D.C., and San Francisco, all huge United States cities, drew in a great deal of vacationers by the 1890s. By 1915, city vacationing had marked considerable changes in the way Americans viewed, arranged, and progressed. ​Make the most of your time in the city that never sleeps with this 5-hour guided tour of NYC’s top attractions. Enjoy a 4-course dinner on the waters surrounding Manhattan​ while viewing the of the Statue of Liberty, Empire State Building, and the New York skyline illuminated at night. Also Read “American Holidays, USA Travel Deals"
The boutique hotel Hudson New York Central Park features an interior lobby garden with trees and ivy walls. France has 37 sites inscribed on UNESCO's World Heritage List and features urban areas of very high cultural attraction, coastlines and beachfront hotels, ski lodges, and country areas that numerous take pleasure in for their charm and serenity. Enjoy a hassle-free entry to one of the world’s busiest monuments with this skip the-line Eiffel Tower ticket with a host and commentary. Discover the best food tours in France here. Also Read “Treat Yourself With A Visit To France"
Also Read "Paris Food Tours: "Out Of The Ordinary Discoveries With These Paris Food Tours"
Hôtel Eiffel Turenne - excellent located for those who would like to stay in the heart of Paris. Rated as SUPERB on Booking.com. Moulin de Monjous - located in the south of France in Gradignan is a budget hotel rated as SUPERB on booking.com. Solo travellers particularly like the location. ​One the finest beaches in Spain can be found in the south of Lazarote at Punta de Papagayo, near to Playa Blanca. This part of Lanzarote is occupied, principally, by the town of Playa Blanca (once a sleepy fishing village), but in the midst of a major transformation. Playa Blanca extends from the western Pechiguera Point to Coloradas Beach in the east, with the Coloradas Beach effectively becoming the first of the Papagayo coves. You will have noticed that there is a fair amount of development going on across the broader Playa Blanca area. Visitors will be pleased to hear that building is prohibited beyond this point, so Papagayo Beach will remain completely as nature created it. Punta de Papagayo, to give it its full name, is located at the most southerly tip of the island and is actually a collection of small beaches (Playa Mujeres, Playa del Pozo, Playa de Papagayo, Playa de La Cera, Puerto Muelas and Caleta del Congrio), with golden sands of between 100m and 400m in length and separated by high cliffs. Access is not as you might expect and given the beaches are remote and not near the main centre, few services are available, so please go prepared (We’d advise taking a cool box packed full of food and drink as you won't find anywhere to buy a drink or something to eat on these beaches). ​Follow the signs to Papagayo from the main LZ-2 Roundabout with the CEPSA garage and you will end up on a bumpy dirt track road (no tarmac and hire companies generally ask that you only venture here in a 4 wheel drive, but this is generally ignored, so you won’t be alone if you choose to ignore this advice). You’ll need to pay a small Toll (2 Euros), before you get the beach top (park by the one and only cafeteria in this area). You need to walk down the sand bank to the beach (and buggies are simply no go, so leave them in the car). This is not one of the best beaches on Lanzarote, it is the best beach on the island and one of the best in Europe. As you head back towards Playa Blanca, I will take you on a whistle stop tour of ‘the other beaches’. As nice as there are, they do not warrant as much space in this article as Papagayo. First we have Playa de Las Coloradas, a quiet gravel beach 410 m long, far from developed areas and no public services. Next we find the picturesque beach of Playa Blanca, parallel to the restaurant-lined promenade in the village and 40 m of fine golden sand with placid waters. After we pass the harbour (where you can take a daily ferry to Fuerteventura), you will find Playa Flamingo (200 m. of fine white sand, next to Playa Blanca, ideal for scuba diving), Playa Dorada (a sheltered beach of fine white sand, 30m long), both close to all the services that the town has to offer. Here you can rent sports equipment & hammocks.Next we have La Mulata, 80 m. of fine golden sand mixed with gravel (located between Playa Blanca and the Faro de Pechiguera lighthouse), La Campana, 140 m. of fine golden sand (close to the Faro de Pechiguera lighthouse), Montaña Roja, 260 m. of fine golden sand (near the Faro de Pechiguera lighthouse), and finally we end with El Golfo, 150 m. of picturesque black (yes black) sand ! Looking to make a booking in Lanzarote? Check out these great options! If you face physical distress caused by flight fatigue, it can almost feel like you are becoming ill as your body reacts to the long distance travel. Travel is tiring even for relatively short trips. The work of moving through airports, dealing with delays, handing your baggage, finding transportation at your destination city and if you are a business traveller getting to the meeting are a much greater stress than you ordinarily go through doing business at home. ​But when you add the problems introduced by jet lag, you face physical distress that can almost feel like you are becoming ill as your body reacts to the long distance travel. We are not aware of it but our bodies are finely tuned to work at their best in the time zone of our homes. Our biological clocks are tuned to react to the time of day, the daylight and nighttime cycle, environmental factors and the magnetism of the local environment. We have an internal monitor that tells us when we should sleep or be active based on that internal clock. By reducing the effects of jet lag before they even happen, you make the potential that your business meetings will go well much more likely. By thinking ahead about jet lag, you are taking the measures you need to take to eliminate a threat to the success of your trip. ​When we travel to a new time zone, while our mind finds it peculiar that it is a new time of day that is out of sync with what we know, our bodies go through quite a dramatic adjustment to adjust to the new environment. That is why in a new time zone, you may not be able to sleep when it is 11 p.m. where you are because to your body, it may be the middle of the afternoon or the next morning. The symptoms of jet lag are fatigue, lack of appetite, shortness of temper and even a feeling of mild nausea that comes from an internal system that has been thrown for a loop. So the best cure for jet lag is good preparation so you can ease into the change of location without too much anxiety. Since 2013 over 25,000 guests were welcomed on these immersive culture and food excursions in London. Checking out the diversified neighbourhoods, you’ll be introduced to the very best food at local's much-loved stops, telling the tales that lie behind these recipes and the people who created them. 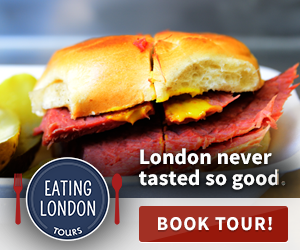 This 4 hour East End Food Tour offers 7 traditional samplings (a significant meal!) at a variety of spots like shops, markets, bakery's, pubs and restaurants. You will go to much-loved local haunts, meet the business owners and check out historic sites that couple of tourists have the change to experience. What you think about London will be redefined. On This East End Food Tour you'll get away from the masses and look into one of London's best hidden secrets like not anyone else can-- via its cuisine. You'll discover the distinct background of this city in the process, and leave London feeling like a true insider. This nighttime food excursion takes you far from the tourist snares to the local cocktail lounges and mouth watering restaurants that are genuinely defining the city's food reputation. Discover Soho's best-kept mysteries on an entertaining and irresistible night out, and truly learn more about the city by means of its remarkable food and drinks. The area's worldwide influences are so varied that you'll try every little thing from Spanish Jamón to Oriental dumplings as you sipping on a chilled margarita, the best Gin & Tonic, plus a lot more. Given that this food tour occurs at night, you'll adventure the real Soho ambiance - complete with the capital's classiest cocktails. Discover an aged pirates & artists stomping ground, one historical pub at a time. If ever you're going to London with a large group or you’r a solo traveller wishing for an unique adventure, why not go back in time to London's historical old docks? These were once home to a dynamic trading port, packed with crooks, sailors, and - even pirates! Now it's much more quiet - today it’s a residential area, lined with cobble stone roads and aged storehouse structures with spectacular waterfront sights of the city. The dockers and pirates may not with us any more, however the spots they drank and eat in, and their tales are still very active. All tales dished out with London's finest craft brews, ciders, and its finest pub grub, featuring much more than a few dishes which are sure to impress! Are you looking to take a trip or a vacation that will require you to fly? If you are, you will need to make your airline reservations soon. When doing so, you will find that you have a number of different options. A few of your options, as well as the pros and cons to each, are highlighted below. One of the easiest ways to book travel arrangements, including airline reservations is to use the internet. When using the internet, many turn to online travel websites. In fact, online travel websites have increased in popularity over the years. When using an online travel website to book your airline reservations, you need to enter in the number of travelers, your intended dates of travel, where you will be leaving from, and your destination. You will then be provided with a list of flights that meet your needs. All of these flights, which often include different airlines, should be compared. Online travel websites are easy to use. That is just one of the reasons why they are so popular. Even inexperienced internet users can buy airline tickets from a travel website with ease. As previously stated, online travel websites are easy to use. That is just one of the reasons why they are so popular. Even inexperienced internet users can buy airline tickets from a travel website with ease. As for the downside to using an online travel website, many charge you a small fee for using their services; however, this fee, if it is charged, is often added right into the quoted airfare rate. In keeping with the internet, you can also book your airline reservations online, but directly through an airline. When doing so, you will need to visit the online website of an airline that you know services your departure and arrival locations. These websites can easily be found with a standard internet search. Next, you will need to enter in your intended dates of travel, your starting point, and your destination. This is similar to what you need to do to use online travel websites. See the search box below. As for the pros or plus sides to making your airline reservations online, but directly through an airline company, there are a number of them. The internet makes planning a trip and buying airline tickets easy and convenient. There are many others who take comfort in knowing that they are buying their tickets directly from the source. As for the downsides to buying your next set of airline tickets this way, you will find that it can be difficult to compare prices. In fact, if you want to compare the prices of different airlines, you will need to visit multiple websites to do so. You have a number of different options, when looking to buy tickets for your next trip or vacation. Another one of your options, when looking to buy airline tickets, involves doing so over the phone. Most airlines will allow you to make over the phone reservations. Once you have the phone number needed to place your reservations, it is relatively easy to do. ​This option is ideal for those who are concerned with internet security, like individuals who have computers not protected by anti-virus software. Truthfully, the only downside to this method of booking is the time that you may have to spend on the phone; it can be quite long. As outlined above, you have a number of different options, when looking to buy tickets for your next trip or vacation. Regardless of which approach you take, you will likely need to have a credit card or a debit card that can be processed as a credit card.